It goes without saying that the US/China trade war, which was escalating all 2018 and resulted in the White House threatening to impose 25% tariffs on 100% of Chinese exports to the US, has been a major source of market angst. DC and Beijing are currently meeting in high-level talks (China’s Vice Premier is meeting with the US Trade rep on January 30th and 31st) to continue hammering out a deal to hopefully end the tariff conflict and remove what’s currently the biggest growth risk to both countries’ economies. And with China recently offering a $1 trillion export-boosting deal that could turbocharge US economic growth and corporate profits, Wall Street is optimistic that a deal is coming soon. But that’s only if the US accepts China’s latest proposal AND if Bejing’s offer is actually possible. So let’s take a look at what China is offering, whether or not they can actually deliver, and how likely the trade war is to end this year. 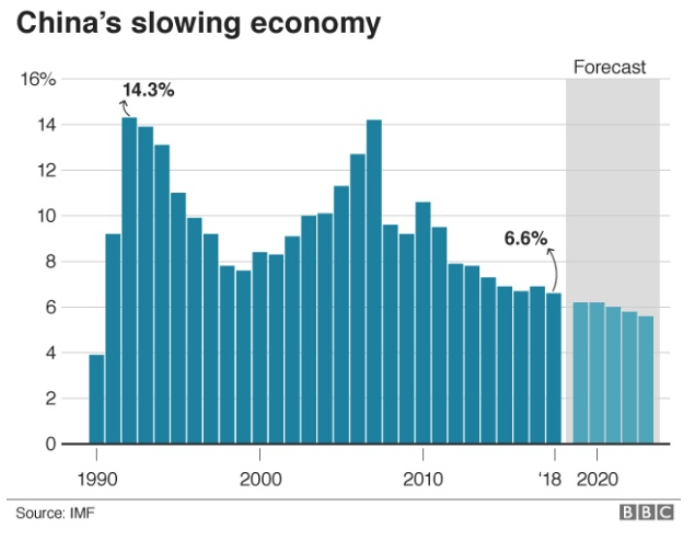 Given that China’s economic growth has slowed to its weakest levels since 1990 a major trade deal can’t come fast enough. That’s especially true given that China’s economy was already experiencing secular and steady growth declines for several years before the trade war began, courtesy of the government trying to shift the economy away from exports (about 36% of their economy) and more towards consumer spending. That is a big policy shift from China’s debt-funded industrial investment-led expansion of the past two decades. China’s government is apparently very eager to cut a deal given that China’s manufacturing sector is now in a recession (PMI under 50) and manufacturing profits just reported their second consecutive month of negative profit growth (-1.9% YOY in December). To help ensure that the March 2nd deadline for trade negotiations (the tariff truce) gets extended (without major increases in tariffs and new ones being announced) Bloomberg has reported that in early January Beijing made the offer to boost its US imports by over $1 trillion through 2024 and entirely eliminate the US/China trade deficit. A $445 billion increase in imports by 2024 would be massively beneficial for the US economy, representing about 2.2% extra growth in GDP all on its own (so 4+% growth that year). And between 2019 and 2023 we’d also see a nice boost to growth that would hopefully combine with rising investments in 5G technology and automation that could drive US economic growth of 2.5% to 3+%, far better than the 1.9% long-term growth the Fed currently expects. And needless to say that the companies that actually would supply those booming Chinese imports would benefit immensely, especially ones tied to agriculture and energy (oil & gas would be huge winners). So it would be a huge win for the economy, American workers, and US multi-national corporations, which would likely mean the longest bull market in history could run for several more years (and become the most profitable one of all time). But before we start celebrating the glorious benefits of this proposal, first let’s examine whether or not its’ actually possible and more importantly how likely the Trump Administration is to accept it. 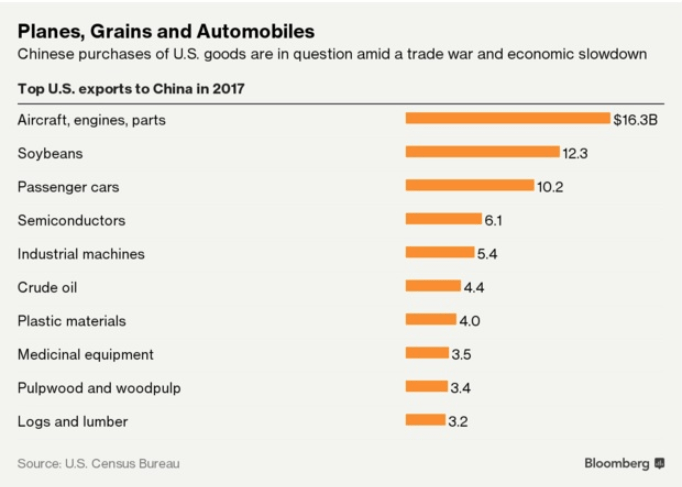 While the US exports a lot of goods to China each year, boosting those figures by over $40 billion in 2019 might be a challenge, much less expanding them by over 10 times that amount within six years. A company like Boeing would certainly benefit if China were to order all its airlines to switch their new plane orders from Airbus to the American company. However, Boeing has an existing backlog of 5,900 planes worth nearly $500 billion and is already cranking out planes as fast as it can. Could Boeing theoretically build one or more massive and state of the art factories to greatly expand capacity? Sure, but it’s not something that can be done within a year or two. What’s more, even if the US were to accept the deal and China were to announce Boeing would be its sole plane provider from now on, there’s still political uncertainty to consider. For example, if you were Boeing’s CEO and trying to decide whether to invest billions into new factories might you not worry that China’s execution of its trade offer (that steady increase in imports over time) might not fade away if Trump lost in 2020 and a Democratic president might not be willing to hold China to its import expansion time table? That’s just one example of how a US manufacturer might hold off expanding capacity that could make it harder to make China’s offer a reality. What about other major US export sectors like agriculture and energy? 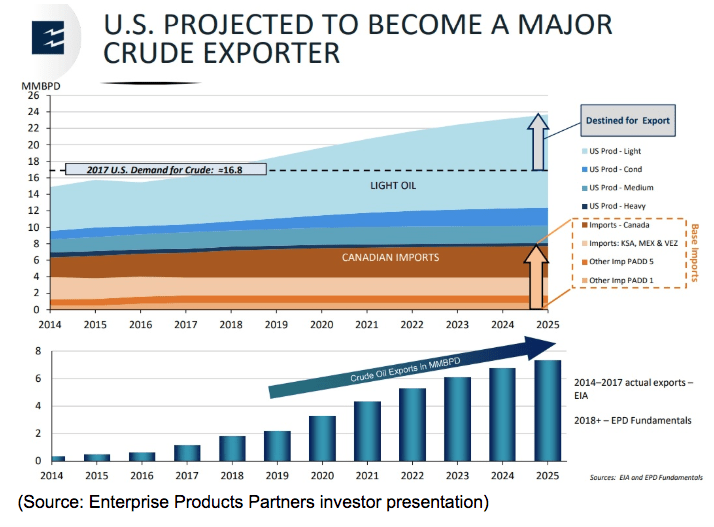 While US oil exports are soaring, there is only so fast that we can build new pipelines and expand export terminals. What’s more much of that oil and LNG export capacity is already under long-term contracts (up to 20 years in the case of LNG) with companies in other countries. While China may be able to force its companies to prioritize US imports over those of other nations, the US government can’t order US companies to break their contracts with existing customers just to achieve its goal of reducing the trade deficit between America and China. And even if the President were to order such a thing, and the courts (where all corporations would end up challenging the US government over such an order) didn’t block it, China merely shifting its imports from other countries might not end up benefitting us that much after all. That’s because if China were to screw over its other trade partners (say Germany) then German’s economy would suffer and guess who the US sells a lot of exports to (and imports parts for our finished goods from)? The same is true of US agriculture, which supplies a lot of China’s food imports. Farmers have contracts with other country’s they must honor, and expanding land under cultivation to meet greater Chinese import demand is not something that can be done overnight (you can’t force crops to grow faster by government mandate). So if the trade offer isn’t handled with care, with strong logistical management to ensure that America’s other trade partners don’t suffer, then the net benefit to America might be smaller than hoped, and the net benefit to global growth (what drives US corporate profits) might end up zero. But all this even assumes that the US accepts China’s offer at all. That’s far from guaranteed as Bloomberg has made clear. One can only hope that the 2-year demand from US trade Rep Robert Lightheizer is a negotiation tactic. If it’s a firm requirement that comes from the top (Trump himself) then we’re all screwed because a $455 billion increase in US imports over two years is simply not possible, due to the logistical/capacity reasons I’ve already explained. And as some trade hawks have pointed out the offer is merely for a lot more exports, and addresses none of the IP protection/non-tariff trade barrier/China 2025 issues that are key issues the President wants to address. Economists and analysts have been warning since the trade truce was announced that 90 days was NOT enough time to reach an agreement on every issue. China’s $1 trillion offer (plus removing some retaliatory tariffs) was likely made in hopes of expanding the deadline by a few months, and possibly reducing or eliminating tariffs that are hurting both US companies, consumers and hammering China’s manufacturing base right now. In other words, aware that Trump is in 2020 campaign mode and needing some major wins, they made a generous offer that’s tailor-made for our Twitter happy president to brag about striking “the greatest trade deal of all time” (which it actually would be). However, as we saw with the government shutdown fight over the US/Mexico border fence, Trump isn’t necessarily trying to win favor with all Americans right now, but primarily his base. There’s a risk that more trade hawkish Republican voters might cause Trump to feel pressure to leave current tariffs in place while negotiations continue, which would extend the economic/corporate profit damage they are already causing. How long might negotiations take to address all the issues on Trump’s checklist? Well NAFTA talks lasted 15 months between the US, Mexico and Canada, three historically strong allies. It’s possible that reaching an agreement both DC and Beijing can accept on all the issues we’re now discussing might take even longer and drag all the way to election day. And that assumes we eventually come to an agreement on all the issues at all. From what Trump has said, a failure of China to address even one issue (China 2025 is the most likely point of failure) could torpedo the entire trade negotiation and result in 25% tariffs on all US imports from China. Essentially this means that while the $1 trillion import offer from China is great, and likely can be accomplished over the six-year time frame (though that’s not a guarantee given logistical/capacity constraints) trade talks could still fail at any time. The risk of that only rises if Trump’s political fortunes start to fade and he feels that instead of running on “big wins” he’s forced to adopt a wartime presidential stance and rally his base around the flag during a full-blown trade conflict. 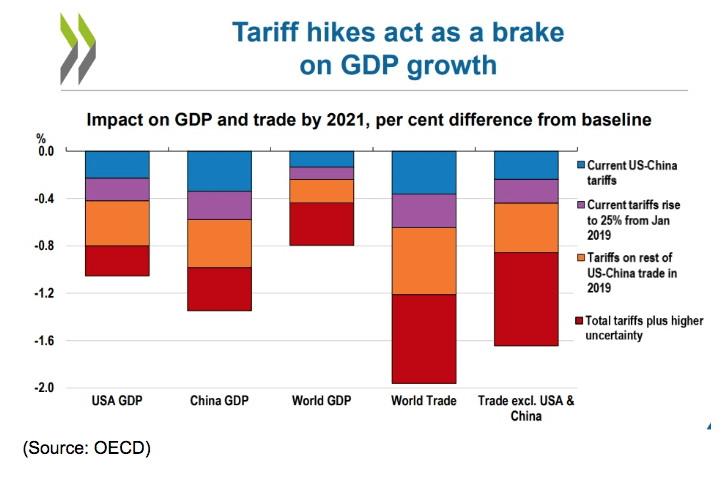 According to the OECD’s calculations if the US makes good on all its tariff threats, (not even counting threatened EU car tariffs) then the economic impact from tariffs would rise from about 0.2% per year now to 1%. Given current long-term economic growth forecasts that could slow US growth to 0.8% and elevate the risk of a recession to its highest levels since 2009. So the bottom line is that investors should cheer the Chinese offer, but continue to “hope for the best but plan for the worst” with their portfolios. I’ve definitely rooting for an end to the trade war, and not just because I happen to have a lot of money invested in trade and economically sensitive companies that would soar if such a deal were struck. And China’s $1 trillion offer is the best they’ve offered any trade partner…ever. So I think that the US should certainly accept the deal, as the first step in a multi-month, multi-deal agreement that eliminates US tariffs on Chinese imports while we continue negotiating over IP protection and other important issues. But investors need to understand that China’s offer may be too good to be true because even for an authoritarian regime running the world’s second-biggest economy, boosting imports by nearly $500 billion per year this quickly is a big undertaking. One that would require Chinese companies, especially state-owned enterprises, to divert nearly all their imports to US sources. That not only brings up the logistical question of how quickly can US companies expand their capacity to meet the demand, but also whether or not Beijing is really willing to make China’s economy so heavily dependent on US imports (possible national security concerns). Don’t get me wrong, I’m not saying that China is outright lying about the offer, and only making it in the hopes that it can end the current tariffs, avoid news ones, and give their economy breathing room until Trump’s possible election loss in 2020. While some cynics fear this is the case, my bigger fear is that the US demands that China eliminate the trade deficit within just two years might be a sticking point for Trump (it’s mathematically impossible to do it). Not to mention that the IP theft, non-tariff import barriers (including joint venture requirements for US companies) and China’s 2025 growth initiatives, are all far stickier issues that Beijing is likely only willing to bend so far on. With US trade policy being run in such a volatile and unpredictable fashion there is a real risk that even if China’s offer is possible (most likely) and genuine (probably) it might still not be considered “good enough” for a president who is desperate for the biggest possible win while facing an uphill fight to win re-election in 2020. Am I predicting imminent doom for trade talks? No. 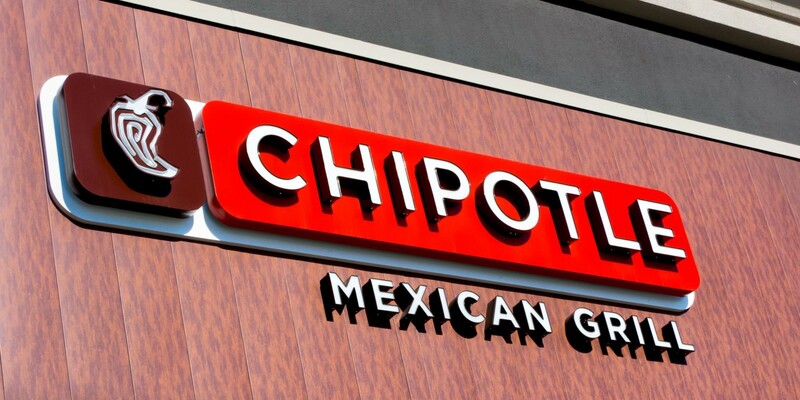 I still expect that a deal being announced by March 1st is more likely than not, but I do recommend investors remain cautious and not become complacent. While the market’s steady climb higher in recent weeks has been a relief compared to the horrifying crash in December, should trade talks fall apart (I didn’t think a 35-day government shutdown was likely yet it happened) then stocks could quickly find themselves retesting December’s lows.